More than 400 school food service professionals and business administrators from around New Jersey previewed the newest healthy school lunch and breakfast offerings available from food manufacturers for the 2016-2017 school year on January 21 at the Hyatt Regency Hotel in New Brunswick. 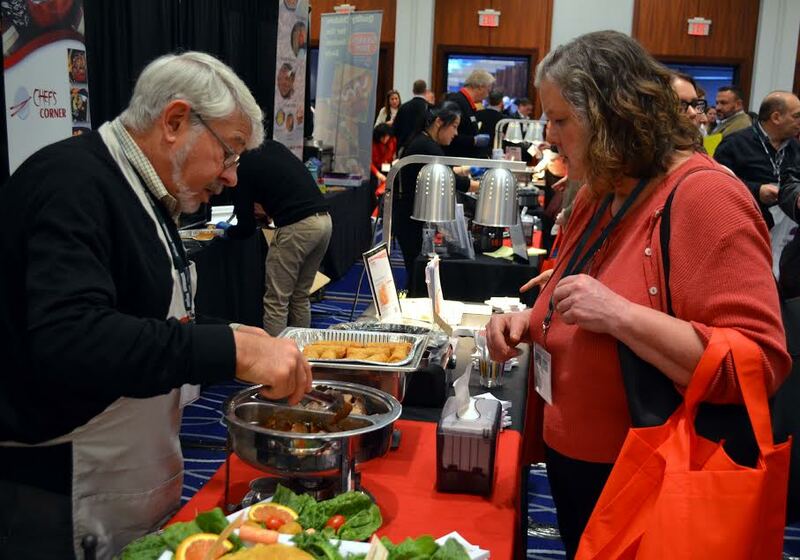 The conference gave school food service professionals the opportunity to sample the foods and speak directly with manufacturers to meet their district’s specific needs, helping them to determine which foods to order for the 2016-2017 school year. This year, there were many creative options including, chicken patty sliders, vegetable whole wheat lo mein, chicken egg rolls, boil-in-bag real mashed potatoes and pre-washed baked potatoes. Gene McDonald, Vice President of Sales for Rich Chicks said their breaded chicken products have whole grain breading and use whole muscle chicken. “Sliders are a trend and we have found many schools even using them for breakfast,” said McDonald. “Schools are focused on participation. Kids are demanding minimally processed foods like they’d find in a restaurant.